Use this piece to add casual style and modern flair to your home. 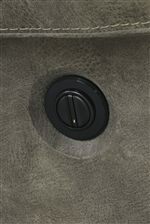 Stylish faux leather upholstery fabric is adorned with decorative stitched details to encompass this piece. 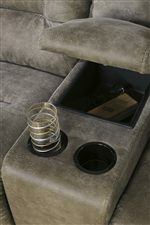 Two plush seats are separated by a lift top console and two cup holders for add functionality. 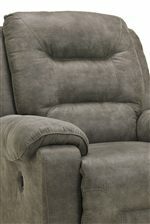 Thick padded pillow arms and chaise style leg rests create a relaxing and comfortable seating option. 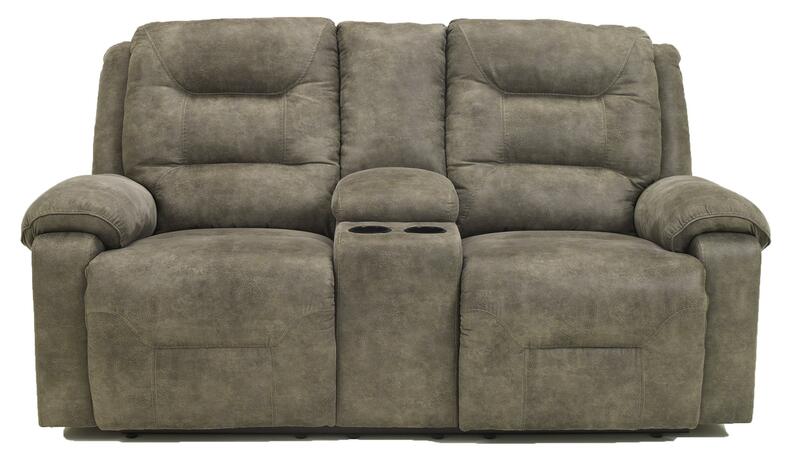 The Rotation - Smoke Contemporary Manual Reclining Loveseat w/Console by Signature Design by Ashley at Miskelly Furniture in the Jackson, Pearl, Madison, Ridgeland, Flowood Mississippi area. Product availability may vary. Contact us for the most current availability on this product.